By virtue of his race and gender and the education and upbringing his parents purchased for him, he entered the credibility economy with considerable wealth. And that meant others would grant him credibility, the way having money means you can borrow money. Sandmann is soundly part of this fraternity. Video after video taken that weekend plainly show a mob of white teenage boys in MAGA hats tomahawk chopping the air around Phillips. The videos show Sandmann smirking, while his peers laugh and yell. 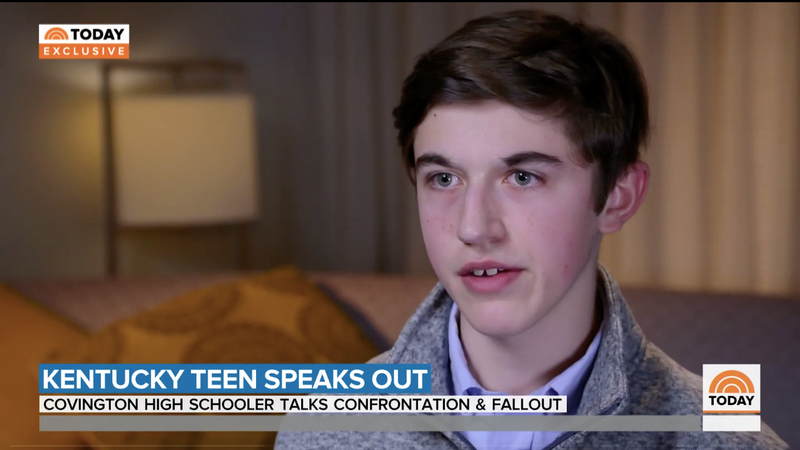 But the Today show gave Sandmann, with the backing of a powerful PR firm, a platform to spin. To tell you that you didn’t see those things you saw. “Did you feel like they were stronger?” Today’s Savannah Guthrie asked Sandmann about the small group of Hebrew Israelites who were yelling at the Covington Catholic boys. “They were a group of adults and I wasn’t sure what was going to happen next,” Sandmann replied. As Deadspin’s Laura Wagner wrote earlier this week, nearly predicting the Today show segment, the interview was done in the pursuit of some ideal of balance, one that undermines any need for truth. The White House also sees itself in the faces of these boys, and has reached out to express their support. Once again, the powerful and the privileged closed ranks. “Credibility should rest on reason, on a person’s track record of truthfulness, on the presence or absence of corroboration,” Schambelan wrote in her essay. “But like any other currency, it ultimately rests on a consensus about value, about what matters. The country’s treatment of Kavanaugh and Sandmann reveal the conclusion of that calculus. We have seen it before, we will see it again. Familiarity doesn’t dilute the poison.